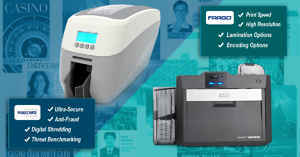 Fargo’s latest printer, the HDP 5000 offers users the latest in ID card printing technology. The HDP 5000 allows users maximum security at the most affordable cost. 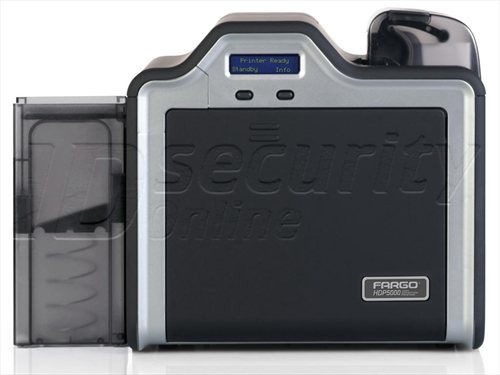 Whether your organization needs high security access control, storage of personal information, or encoding to enable financial transactions, the HDP 5000 is suited to cater to your needs. The HDP 5000 redefines the industry standard when it comes to high definition printing. Instead of printing directly on the card, Fargo HDP 5000 prints your desired image in reverse on the underside of a special high definition film. The printer then fuses the film onto the cards surface. The final result is a sharp, crisp, professional image that has extra protection against every day wear and tear. Not only is this printer excellent for company security but it can actually be used to build revenue. 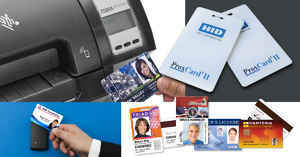 This ID badge printer also doubles as a high class gift card printer. You can program your cards to contain a set amount of funds that clients can use in your store. Using this printer to print gift cards also raises awareness about your company or product as current clients can give them to friends and give them incentive to shop at your location. All it takes, oftentimes, to build a long standing client relationship is just one initial purchase. This printer is prepared for any problems that might come your way. 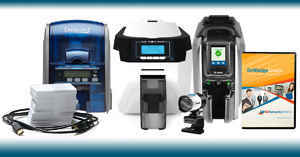 Fargo's HDP 5000 comes with a two year warranty plan and a 1 year printer loaner. 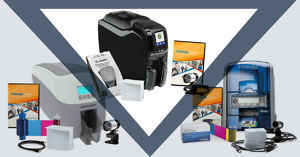 If your printer encounters problems during this time period, Fargo will not only fix your printer free of charge, but send you a printer that you can use while yours is being fixed. We at IDSecurity Online know that your company aspires to grow. Fargo’s HDP 5000 has the capability to expand in capacity along with your company. 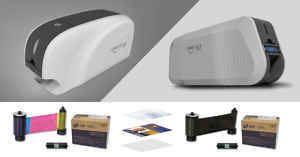 This printer can change from a basic single sided printer to a dual sided printer with multiple laminating and encoding options. The sky is the limit when it comes to Fargo’s HDP 5000 printer.